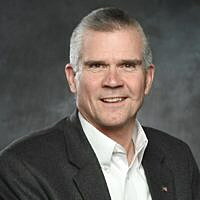 (Courthouse News Service) – Urging the Federal Election Commission to take action, two nonprofits contend that Montana Republican Senate candidate Matt Rosendale let slip that he had illegally coordinated with the National Rifle Association. As described in the complaint, the reference by Rosendale to his illegal campaign support occurred this past July at a campaign event in Washington, D.C.
Rosendale, the state auditor who is running against Democratic Sen. Jon Tester, assured his audience that his campaign had support from a number of outside groups, including the NRA. “The Supreme Court confirmations are big — that’s what sent the NRA over the line,” Rosendale said, according to a transcript of a recording obtained by The Daily Beast. Though the ads would not run until weeks later, the Campaign Legal Center notes in its FEC complaint that Rosendale managed to accurately describe both their content and their timing at his Washington event. Earlier this month, the NRA’s lobbying arm spent more than $400,000 on television ads that criticized Senator Tester’s votes on Supreme Court nominees. Federal law states an advertisement is coordinated if an outside group privately informs a candidate about its planned spending and the candidate approves. “Although FEC inaction in recent years has helped open a number of loopholes allowing outside groups to work closely with candidates, the conduct here crosses a legal line,” Brendan Fischer, a director of the center’s federal reform program said in a statement Monday. The Campaign Legal Center brought the complaint along with another group, Giffords, which was renamed last year after former Congresswoman Gabrielle Giffords. David Pucino, a staff attorney at the Giffords Law Center to Prevent Gun Violence, said that FEC inaction has emboldened the NRA to advance a radical agenda. Rosendale’s campaign office did not immediately return a call requesting comment.